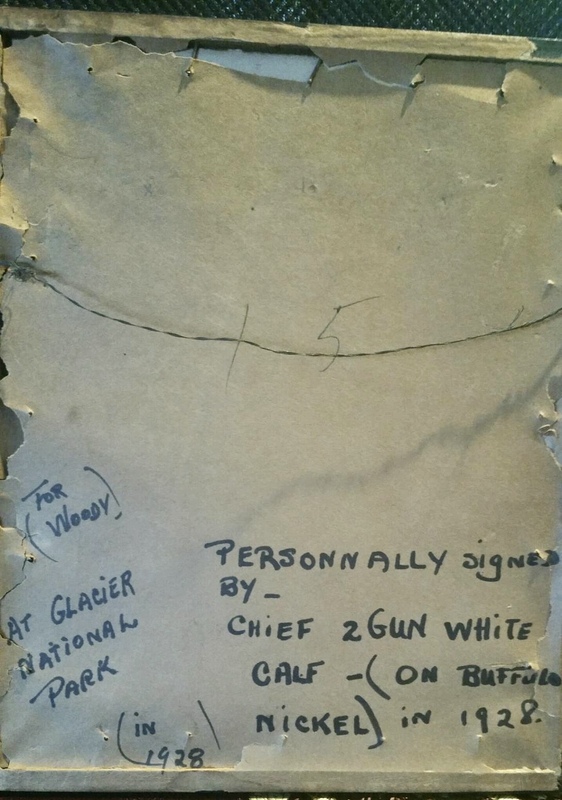 This collectible photo of CHIEF 2 GUN WHITE CALF is not authenticated by us since we do not have that resource locally, so you will need to judge for yourself, but it looks its age of 1928 or 90 years old. You will notice on the photo, over his left shoulder, three symbols which is his signature, images of two guns and a calf. Two Guns White Calf, also known as John Two Guns and John Whitecalf Two Guns, was also, in time, a Blackfoot chief. 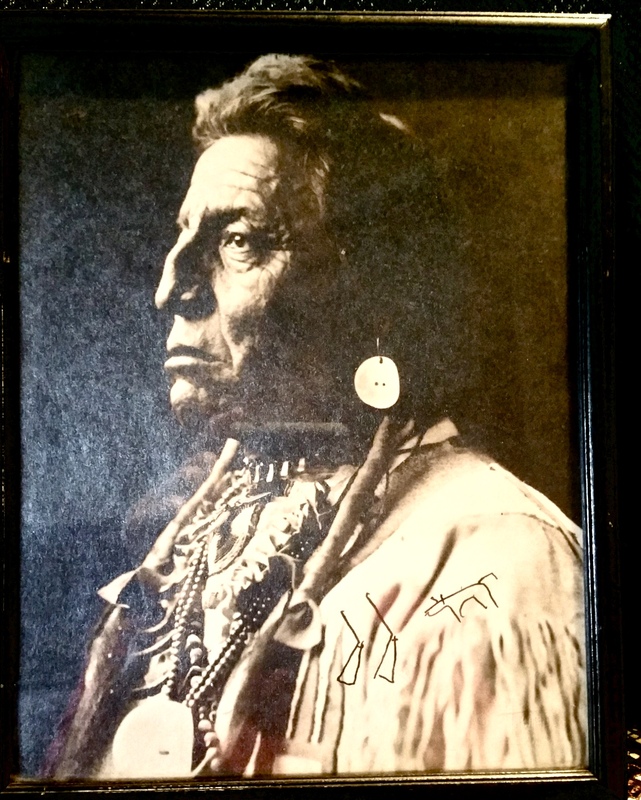 He provides one of the most readily recognizable images of a Native American in the world as impression of his portrait appears to appear on a coin, the Indian head nickel. It is priced at $60 or you can buy a similar one on today’s ebay for $220. Please come on in and take a look. First come, first served, only one available.